Helps support and stabilize injured or weak wrists during sporting and recreational activities. Adjustable compression for best fit. Helps with wrist strains, sprains, instability and symptoms caused by juvenile arthritis in the wrist. Universal Size (one size fits most) – fits up to approx age 12. 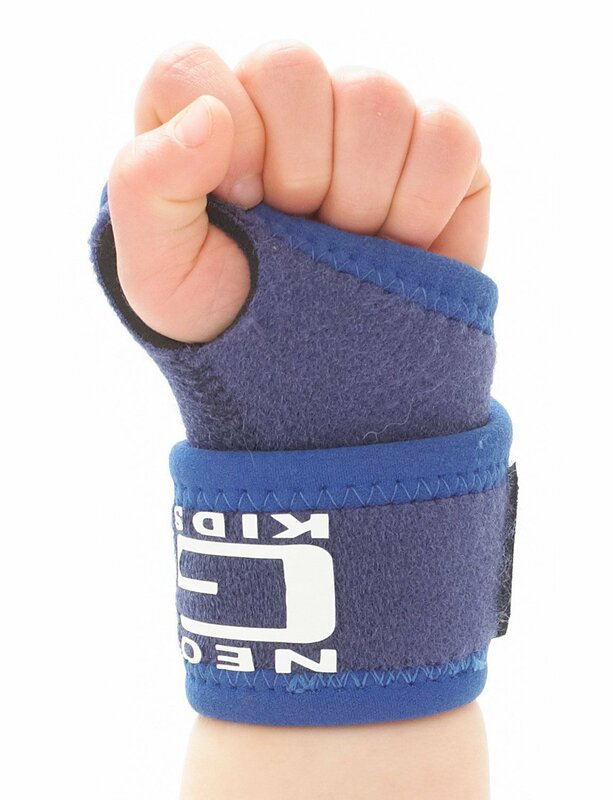 The Neo G Kids Wrist Support is specifically designed for the younger wearer and can be used to apply adjustable compression and support around the wrist. It can help to manage pain caused by joint or tendon overuse in the wrist or thumb. It helps with strain caused by repetitive wrist movements such as recreational and sporting activities. The durable, heat therapeutic neoprene helps provide warmth and support to muscles and joints to aid weak, injured or arthritic wrists.